Hibu focuses on building and maintaining websites for small and mid-sized business owners who lack technical expertise or time. Hibu has built well over 500,000 websites for businesses across the US within the last 10 years. They offer professionally built, customized websites for its customers. These websites are fully responsive and built to look great across all devices. Assistance with the site build, hosting and upkeep is attractive for those who don't mind paying a bit more for a professionally built, done-for-you website. 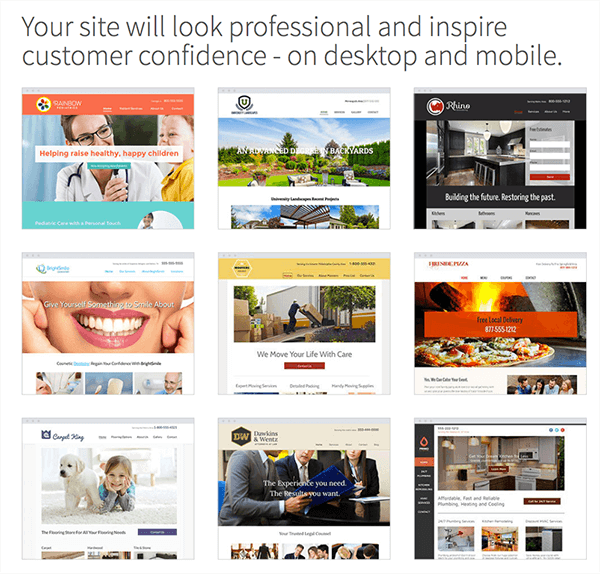 Small to mid-sized local businesses seeking a worry free alternative to a do-it-yourself website builder. Add-on features available such as online scheduling and payments, embedded video, DIY e-commerce and more. 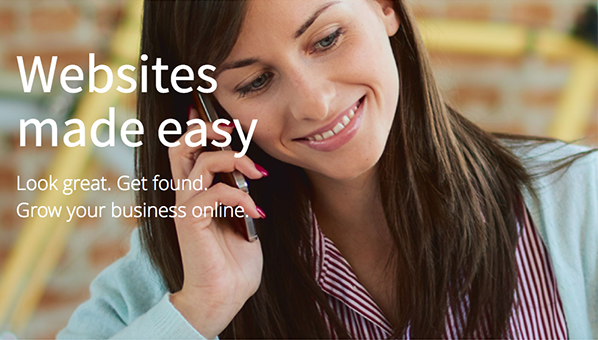 Hibu offers digital solutions for local small businesses, including website design services. This means customers have the extra benefit of integrating their website with Hibu's complete digital marketing suite, which includes paid search, social media, online reviews, display ads, SEO and directory listings. It's ideal for businesses seeking customers in their immediate location on a small scale. Hibu has 100’s of customizable templates to choose from, fitting to different business types. The designs are simple, modern and clean. Those looking for something ornate or fancy are probably not the ideal customers for Hibu. Hibu's designers build the sites for their customers after receiving some basic instructions, images, content or just ideas. After the website is built a proof is sent. Any changes to the site can be done either by their designers and copywriters or on a do-it-yourself basis for those who prefer such an option. Hibu's templates are both mobile and tablet responsive. Hibu is much cheaper than paying for a website designer, but a bit more expensive than a typical do-it-yourself website builder. They offer separate packages which include a one-time website design fee and a further monthly fee, depending on which services the customer is interested in. A premium package with add-on’s can cost up to $1,800 for the first year, with the initial web design fee included. A less extensive package with fewer features but with full service assistance cuts those yearly costs less than half of the premium package. Hibu offers full service website design and updating, with a do-it-yourself option for those who are interested in making future changes on their own. Its SEO tools are very basic, but its host of other digital marketing services are ideal for local businesses. Hibu is a bit more expensive than most do-it-yourself website builders, but they do take a lot of the burden off of business owners who prefer to focus on other day-to-day matters.